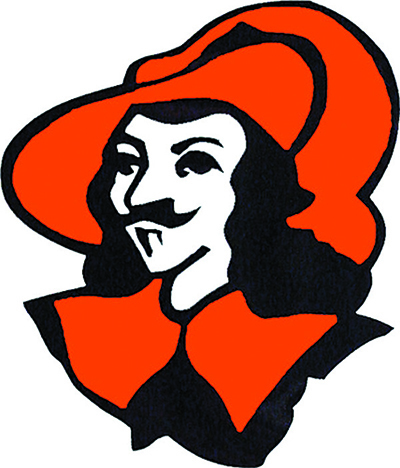 FORT JENNINGS - The Musketeers welcomed Allen East on Saturday night and held on for a 54-50 victory. Fort Jennings jumped out to an early 12-0 lead getting two three-pointers from Nick Trentman and Ian Ricker. Allen East registered their first field goal with 2:12 left in the first period. A Brady Harris bucket brought the score to 16-2, Fort Jennings. The Musketeers closed out the quarter on a 5-0 run with a three from Simon Smith to cap off the first period, 21-2. “The biggest thing in the first quarter was we knocked down shots early, and when you can knock down shots, and get stops on the defensive end, things work out.” said Fort Jennings basketball coach Ryan Schroeder. Allen East wasted no time in cutting into the Musketeer lead in the second quarter. Mason Dotson got a layup for the Mustangs and Dalton Clum drilled a triple to bring the score to 21-7. Fort Jennings responded with back-to-back threes from Smith to give the Musketeers a 27-7 advantage. Allen East closed out the first half on a 9-2 run that included four points from Bradden Crumrine. Fort Jennings had a 29-16 lead after two quarters and the Mustangs worked the Jennings lead down to 30-23 with a triple from Clum. The Musketeers got two more three’s from Smith to help give them a 39-29 lead going into the final period. Allen East cut the lead to 41-36 to start the fourth quarter by getting four points from Harris and three-pointer from Dotson. The Musketeers responded with a three-point play by Evan Hoesten. After Harris went on a 5-0 run, Allen East called a timeout with 2:01 left and the score was 44-41, Fort Jennings. The Musketeers went five-of-six from the foul line to put them up 49-41. The Mustangs got a three from Clum to cut the Fort Jennings lead to 49-44. Allen East hit two more three-pointers but Jennings again went five-of-six from the foul line to pick up the 54-50 victory. “We knew that Allen East was going to make a run. It’s a game of runs and I told our guys during every timeout that they are going to make a run. At halftime, I told them to be ready for their run. I think in the first half we only had three turnovers so we need to be more constant with that. If we can keep our foot on the gas and knock down free throws, we can pick up the win,” said Schroeder. Allen East drops to 9-8 on the season and Fort Jennings improves to 3-13 on the year. Allen East won the JV contest by a score of 31-24.